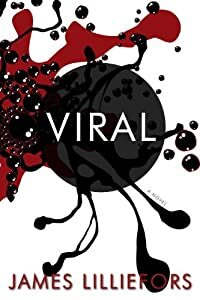 Viral by James Lilliefors: Synopsis and Online Purchase Options. Synopsis (from the publisher): In remote pockets of the Third World, a deadly virus is quietly sweeping through impoverished farming villages and shanty towns with frightening speed and potency. Meanwhile, in Washington, a three-word message left in a safe-deposit box may be the key to stopping the crisis—if, that is, Charles Mallory, a private intelligence contractor and former CIA operative, can decipher the puzzle before time runs out. As the stakes and strategies of this secret war become more evident, the Mallory brothers find themselves in a complex game of wits with an enemy they can't see: a new sort of superpower led by a brilliant, elusive tactician who believes that ends justify means.